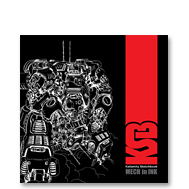 From the creative force who brought us the sci-fi tale Abakan 2288 comes Kallamity Sketchbook: Mech in Ink, the latest collection of drawings from world-renown artist and sculptor Luca Zampriolo. 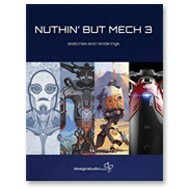 Discover his wondrous mech suits and vehicles and meet many fascinating characters, plus, learn about the treasured tools he uses—from specific fountain pens and inks to different types of paper—to bring his remarkable drawings to life. 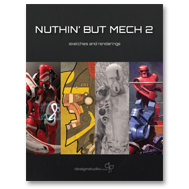 Luca Zampriolo is a concept designer, painter, and celebrated sculptor who has worked for DreamWorks and Oktobor Animation and is well known for his limited-edition mecha design robots. 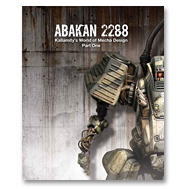 Zampriolo’s first book, Abakan 2288, considered a must-have for mech lovers, features his imaginative robot designs and the world that they inhabit. 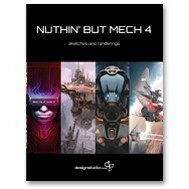 Darren Quach is a Los Angeles–based concept designer who has contributed his creativity to numerous video games, including Hawken, Fuse, Ratchet & Clank Future: ACIT, Total Overdose, and all three Resistance games. 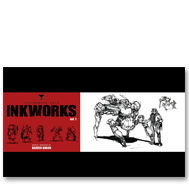 Worldwide, Quach has worked with video game studios Adhesive Games, Insomniac Games, Etcetera, Universal Entertainment, and Killer Game. He is currently with BLUR Studio in Culver City, California.